There are plenty of things that make the queue to dinner at Francis worth it: there’s the staff, so accommodating as to ensure you feel taken care of for simply picking the restaurant to dine in for the night; there’s the vibe, easygoing and energetic, ringing with the sound of diners genuinely enjoying one another’s company; and then, of course, there’s the food, a compact selection of sharing dishes serving the flavours of Tel Aviv cuisine. Paired with a diverse wine list, spanning bottles of orange to sweet wines, along with reds and whites from France and Italy as well as South Africa and Lebanon, this casual Middle Eastern restaurant and bar makes for an idyllic Friday evening out. 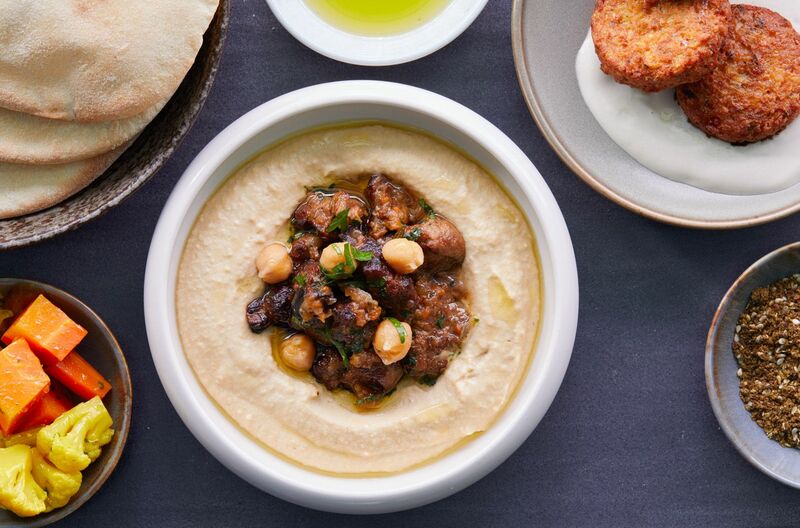 The hummus is a perfect starter, and the pita bread is a favourite— soft and bun-like rather than flat, it’s so moreish we usuallu ask for seconds or thirds to mop up the flavours from each dish. It’s not an understatement to say that everything’s a winner on the small and tightly curated menu, but among those that make the waiting line particularly worth it are the perfectly crumbed chicken schnitzel with tender meat and a complementary aioli, and the excellently done grilled octopus. Do pair them with a Lebanese red from the concise wine menu. It’s worth dropping by at least half an hour early – while the queue is worth it, you might prefer to wait over happy hour drinks nearby.